The A-Ware System Controller provides the electrical operation for a point to point system. Housed in a dust resistant enclosure, it converts 120/240 VAC power to 24 VDC. It provides the control voltage for the station controls (24 VDC) and the timed control of the blower. This unit can be used with one (1) Regenerative blower or one(1) or two(2) Mark 1-1 blowers. It is also the controller built into the HD4PV Blower Package. 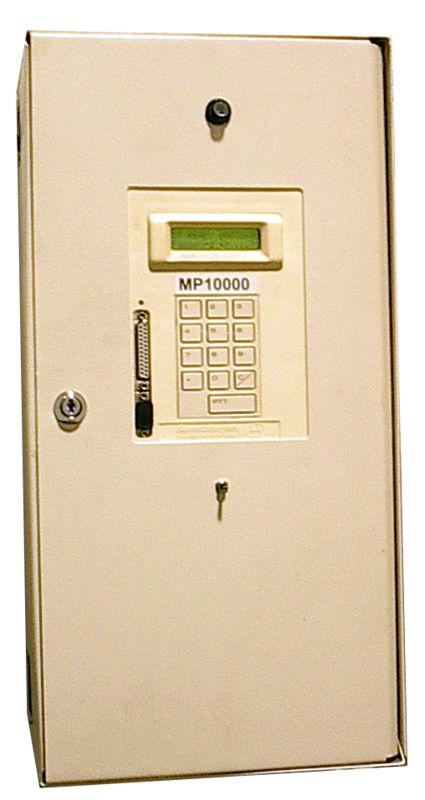 The Sumetzberger MP10000 Central controller is the “brains” of the system. This microprocessor central controller controls, monitors and records system operations. It alerts the user of any potential problem with the system. This controller contains an integrated 30 VDC. power supply and an option phone modem. The controller contains a removable memory chip that records each action and any errors in the system for the last 200 transactions. It is upgradeable to the last 500 transactions by increase the memory chip size. This provides the system with a full audit trail. The Sumetzberger Power Controller is our most advanced controller yet. This computer based controller features full support for LAN and Internet access to system monitoring. The platform independent software integrates system editing, monitoring and transaction data in one place.